Why can't I select form and ActiveX controls? Selecting a control is sometimes difficult and unpredictable. Because a Form control can contain text or other objects (such as an image), when you try to select the control, you might not be selecting the entire control if you do not position the pointer precisely on the control border. If Excel is not in Design mode, when you try to select an ActiveX control, you might unintentionally start an action, such as running a macro or selecting a check box. Many controls are positioned close to each other. Tip: To display the correct shortcut menu for a group box Form control, make sure that you select the perimeter of the group box, and not the interior of the group box. If the shortcut menu contains the command Properties, the control is an ActiveX control, and Excel is in Design mode. If the shortcut menu contains the command Edit Text, the object is a Drawing Tools object. 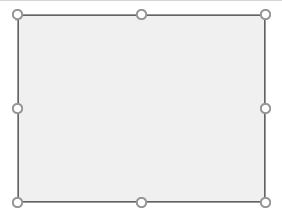 For a Form control, click the control and make sure that the control border is displayed. In the Customize the Ribbon drop-down list, select Main Tabs. Select the Developer check box. Make sure that Excel is in Design mode. On the Developer tab, in the Controls group, turn on Design Mode . When you work with many controls that are positioned close to each other, zoom to a larger size to magnify the view. For more information, see Zoom in or out of a document, presentation, or worksheet.